I seem to keep coming across a problem with a cisco router not being able to allocate an ip address by dhcp on a virgin connection. It happens every time the connection drops and has been doing this since the router was installed. But I don't think its our problem since it works again after we get virgin to reset something. Re: Virgin has Poor dhcp? years ago i bought a Linksys router which is Cisco and had the same issue. The Ip lease would drop after 24hrs and wouldnt reissue a lease in the end i give up and took it back and bought a Netgear which ive stuck with Netgear ever since with no problems. Have u tried a firmware update? Athlon 64 6000+ AM2 X2, ASUS M2N-SLI Deluxe 570 NForce Mainboard, 4GB DDR 2 XMS2 800Mhz Cosair Ram, 6054.81GB Hard Disk Space, 1GB ATI 4670 HD PCI-E 16x Graphics, 850watt PSU. It seems a common problem when looking at Virgin's support forums. In my case I cannot renew my firewall's IP address and have to do a release then discover at intervals to keep my connection working. In Virgin's defense it appears to be a problem with the linux drivers for one Intel NIC chipset and the problem affects users on other cable systems worldwide. It also works fine with win 2003, 2008 and linux dhcpd servers as well as other router dhcp servers and many more things. The fact it works when they reset something on their end should really rule out an issue with the firmware on the site end of things. I think you're probably asking on the wrong forum! Without seeing the contents of the DHCP discover the Cisco is sending out and the offer it rejects I don't have enough information to comment. I have never experienced DHCP issues, while I would say it's clearly an incompatibility I would suggest it's a peculiarity of the Cisco device, if it were Virgin's issue it would affect everyone asking for a DHCP lease. Given Cisco appear unable to obey their own standard (WCCP) properly it's not a huge leap to think they struggle to obey DHCP's RFCs. When I was on cable, I always used to notice something a bit quirky. If I have a router with mac address A connected to the cable modem and I power on the cable modem, and then the router, the router would normally DHCP shout and have no problems being allocated an IP. If I then disconnect that router, and connect another completely different router, with mac address B, and let it try and DHCP, it would fail (it just wouldn't get any responses from its DHCP shouts). Only if I turn the cable modem off and back on would router B then be given a new IP via DHCP (the network responds as normal to the shouts). The IP is usually completely different, as this is a new mac address the network hasn't seen before. I've seen this behaviour time and time again on cable, and it really puzzles me. I don't really understand what's going on but it certainly ain't normal, and it seems to me to be some weird side affect of the whole cable infrastructure that causes this. Maybe you can explain? Might be indirectly upsetting the Cisco, but this is purely speculation. It's certainly normal for cable. Unplugging the router presumably doesn't break the modem connection to the CMTS. to save time a dhcp renew on the router will also do the trick. It seems qirky. Because its evident VM's dhcp server communicates with the router and not the modem, so the modem itself needing a reboot is odd. Also if I use the clone mac feature on the dir615 router, then on every dhcp renewal (once a week) the connection will drop until dhcp is manually renewed. It certainly allocates the IP (and so the lease) based on the MAC of the device plugged into it. I'm pretty much certain that I had to reboot the modem if I swapped routers or it wouldn't work. On a kind of related note, and as you seem to understand things a little better can you answer this. I have a pfsense router/firewall and it's WAN interface get the public IP via the modem. On first boot of the modem, the router broadcasts for a DHCP server and it picks up the IP as expected from a DHCP server with a (from memory) 62.x.x.x address. Come renewal time, the router tries repeatedly to renew with the server @ 62.x.x.x and gets no response for about 7 days then finally it gives up and tries a broadcast for a DHCP server, at which point the same 62.x.x.x server replies with the renewed lease. Is this normal? It doesn;t sound right but I really don't know how it is supposed to work aside from the practicality of having to reboot the modem if you swap routers and the IP being tied to the router (by its MAC). I now have the much maligned Superhub so both components automatically get rebooted together. No, that's supposed to happen. There's a setting on the configuration files 'Max-CPE' which indicates how many MAC addresses the modem is allowed to speak to on client side. Virgin have this value at 1 on all home packages so the modem will learn the MAC address of the first device connected to it and will only forward packets to that device. Even if you connect a new device and send a DHCP renew the modem won't pay any attention, it will learn one MAC address at a time and no more, per the configuration file. Nice, thanks for explaining that! No it is not normal from how I understand it. A dhcp client may request an update from the server at any time. Normally clients start to do this half way though their lease or so to refresh it to zero again. This is so that it never expires. At least from what I have seen that is what both windows + linux dhcp clients typically do. It should defiantly not be ignoring you. I'm going to try to get to the bottom of this properly. I'm sending a cheap router to site to try various connection options. Hopefully I'll get to the position where I can packet capture good and bad (ie Cisco) DHCP conversations. As you're using an 877 I assume you're using one of the ethernet ports in its own VLAN with the VLAN interface requesting the DHCP address? I have a hunch, having just spoken to VM, that the presence of the internal switch in the routers may be causing the problem. Once I canget my site online somehow via the cable modem I can move the primary connection off the routed port (fe0/0) and onto a VLAN interface, leaving the layer3 capable physical interface (fe0/0) free to try on cable. Yes I am using a separate vlan. Though I did shut down all the other switch ports at one stage to test for something like that and the same thing was happening. Would be interested to know if you could try the same and have any success. Also something worth pointing out before the cisco there was a us robotics router on the connection which had the same issue's from time to time kind of like this. But would eventually work after a combination of reboots after an outage. The config I am using is somewhat complicated to begin with and not the best to debug with as the adsl port is also active using another provider with a some load balancing between them. Though there are currently some plans to separate this off to glbp like I have done on another site. Not a problem, it's not immediately obvious unless you know how these things work, common sense says that connecting a new device the modem should learn its MAC address from its ARP broadcasts. Looks like we may have got to the bottom of this. Somebody sent me a dump. So I think i know why the cisco will dump it. Quite simply virgin dhcp server is not responding in time. The best I have seen is a response time of about 25 seconds in the dump after the last client request this is over 60 seconds since the first request normally. The worst I have seen is around 120 seconds after the last request is sent. To confuse matters. The xid on a cisco changes from request attempt to the next attempt. This is why it is failing. Other implementations may not do this. If they use the same xid on each request set then they get lucky and see the correct response from the first set of requests. It's certainly what has been happening here. I assumed Virgin had changed their DHCP server, but I can't get any answer out of them. Hi all. I'm new here and registered as it appears I have a problem very similar to the ones listed above. I'm not very techy so please excuse the words of a layman I am likely to use. I have a home network connected to a linksys router with a varity of wired and wireless connections. Wired I have a networked TV, Blu-ray player, PC and Printer. Wireless connections of 2 x mobile phones, a laptop and my daughters iPod touch. 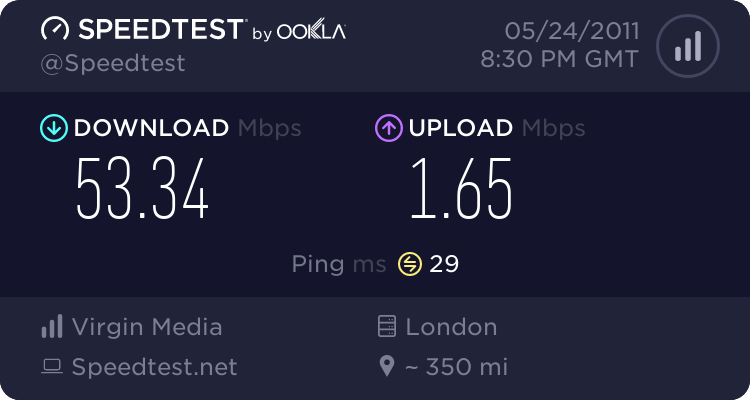 All worked fine (apart from the occasional drop of network when I just switch the router off then on again) until Tuesday when the connection to the internet on the wired TV, Blu-ray and PC and the wireless mobiles and iPod was lost. They were still connected to the network though. I have tried resetting but none will reconnect. The TV says there is a DHCP error and the phones say there's an error obtaining an IP address. Virgin Media won't help. 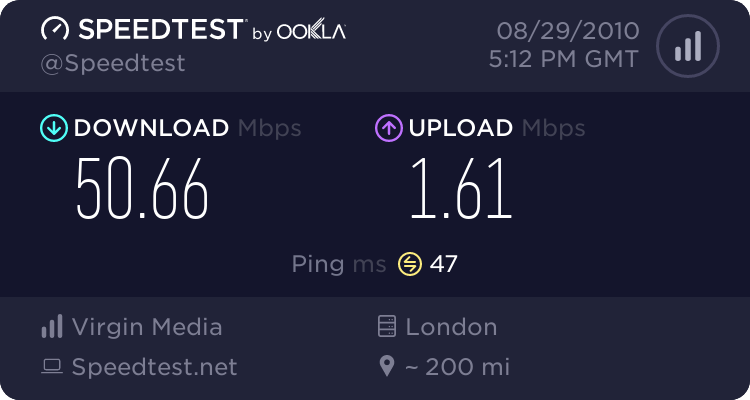 As I still have a connection on one laptop they say the internet connection must all be working fine. Can someone point me in the right direction to remedy this please. I'd be so grateful. It your local devices are not getting an ip address from the linksys then that it really a problem between your devices and the linksys. Virgin won't support something like that because then they would have to support every router and every device. It just not possible. We are talking about a compatibility issue with a router and virgin. Then trying to figure out if its virgin or the router. interesting info, but dhcp renew does work ignition without rebooting the modem. Even with a MAC address change? Afraid if you change the client MAC address, IE through connecting a new router it certainly doesn't. Never disputed that it works with the same client machine / router attached to modem, that's required else how would your router stay connected beyond its first lease? That or you have some unique modem, as I have never, in all the time I've been on forums, worked with cable, had cable, seen anyone able to attach multiple devices to a modem in turn and have them work without a reboot in between bar those on packages with max-cpe higher than one. When I swapped in the vmng300 from the superhub it worked but that of course was also swapping the modem. What I cannot remember is when I last spoofed the mac on the router if dhcp renew was enough or not, I think it was but I cannot remember properly. Of course its still limiting to 1 router to the modem, because if the old mac is recconected that will also need a dhcp renewal, both dont work at once. I dont feel like testing so I wont know on this until I feel the need to try it again I guess. Haven't managed to do any detailed investigation yet, as I could only find an RVS4000 which, whilst is running Linux doesn't have a xWRT port (yet). Time pressures mean I can't fiddle too much to get some sort of control into there but will try in a couple of weeks. Suiffice to say the RVS4000 connected fine first time and the ciso is working just fine as a DMZ host behind it - not ideal but will do for the time being. Point is the MAC address doesn't change. The modem tracks what's connected to it via MAC address so spoofing will, of course, work. That is the only circumstance under which you can change devices without a reboot. Incidentally I forgot to mention that VM use Cisco's own DHCP daemon as part of Cisco Network Registrar. So if it's poor DHCP it's by the same company that made your router. Again I've never seen issues but I've never felt the need to use an IOS based router at home so no idea! ok if I understand you right. lets say I have a pc connected direct to modem. I then swap it with a laptop, you saying dhcp renew on the laptop wouldnt work and I would need to reboot the modem? Yes, the modems will only accept the first MAC address connected to them per their config file. Once they have learned a MAC they will not learn another regardless of what you do. The setting is a per-session setting. Nothing short of restarting the modem's cable interface will start a new session.